"100% of Arts and Science Peer Mentors would recommend the Arts and Science Peer Mentor Program to a sibling or friend." The Arts & Science Peer Mentor Program matches up small groups of first-year students with two upper-year peer mentors in our first year Learning Communities programs. As a peer mentor, you will have the opportunity to connect to serve as a role model for first year students and help guide them on their university journey. "95% of Arts and Science Peer Mentors found that being a Peer Mentor allowed them to develop many skills to include on their Resume and take with them in their future career." This is our largest program with a capacity for over 500 first year students in Learning Communities. FLEX is designed with popular first year courses organized around particular majors and career paths. We require over 40 peer mentors in FLEX for Term 1 and require over 20 peer mentors in Term 2 for FLEX Learning Communities. These Learning Communities are for Indigenous students only. We offer three LCs to select from in both Term 1 and Term 2. We require 8 – 10 Peer Mentors per term in the ISAP Learning Communities. These Learning Communities are for the students under 21 whose high school marks did not represent their academic potential. we offer 7 LCs to select from for both Term 1 and Term 2 and we require 14 peer mentors in Term 1 for the UTRAN Learning Communities. Matched with a Mentor involves one-on-one thirty minute mentorship sessions with first year students. Mentors and students are matched by their area of study (if possible). Recruitment of students and coordination of mentors is done by the LC team, while meetings are arranged directly by peer mentors. We require 8 – 10 peer mentors for this program. Peer Mentors are upper-year undergraduate students who act as “expert learners”, helping the students they mentor accomplish the three Learning Community goals: Build Community – Explore Careers – Enrich Academics. A typical Peer Mentor will spend 3 -5 hours per week on mentorship related activities; this includes preparation time, LC Hour time and regular training and professional development. The role of a Peer Mentor is different than that of an Instructor, Tutor or Teaching Assistant. Peer Mentors are facilitators. As a mentor you will be facilitating sessions, leading discussions and sharing your experiences. Peer Mentors will help first year students form a community, make important connections, and achieve a sense of belonging on campus. Sorry. Applications are now closed. Serving as a Peer Mentor is a valuable form of service that directly impacts the University community. By volunteering your time, energy and knowledge, you contribute enormously to the success of first year students by helping them achieve a sense of belonging in the university community! Many Arts and Science Peer Mentors and campus student leaders started university in a Learning Community, where they developed the friendships, confidence and skills that set them apart. Having the experience of volunteer work in the form of mentorship on your resume is an excellent asset for students. Our peer mentors are looked to as role models and leaders in their academic community, and many go on to other high-profile leadership positions. Leadership and Facilitation Skills – We help you develop skills to add value to your undergraduate experience and take with you into your chosen career. Peer Mentor of the Month nomination - First year students in Learning Communities are invited to complete monthly nominations to highlight the good work of mentors! Gifts are given to the recipients of the best nominations. Honorariums – Peer Mentors are given an honorarium once per term during the term they volunteer as a peer mentor. Each Learning Community Program has a different set amount for the honorarium. Payment by honorarium means that Peer Mentors are classified as volunteers, not paid staff. References – Letters will be written for any Peer Mentors that request a reference from the Director of Arts & Science Learning Communities or any member of the Learning Communities team. Note: Peer Mentors must volunteer for a minimum of one term before requesting a reference or reference letter. End-of-semester recognition - Completion certificates are awarded to all volunteers for outstanding mentorship and leadership commitment. Professional development – Development opportunities will be woven into the weekly peer mentor training. Additionally, there will be opportunities to make connections to university leaders, student leadership conferences and more! 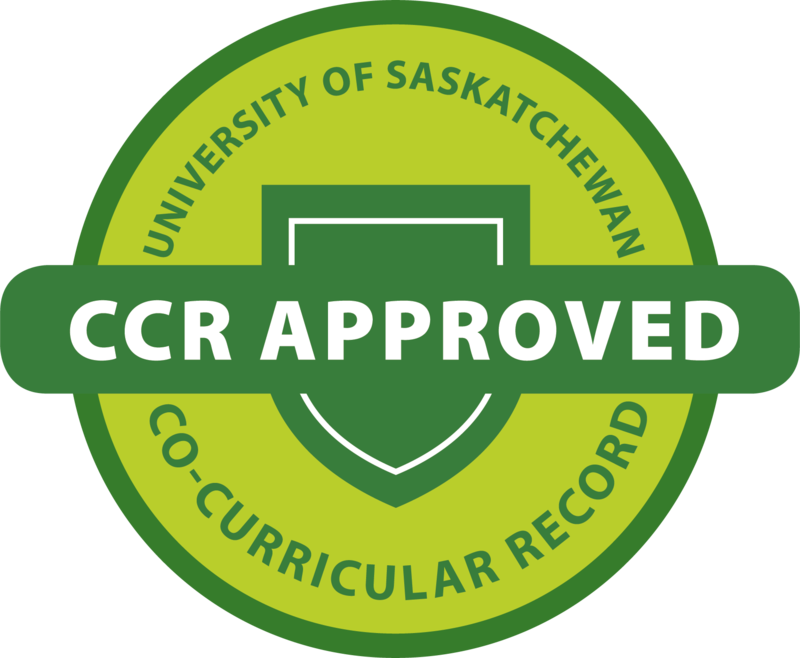 CCR – Co-Curricular Record, which is an official U of S document that demonstrates your involvement in this leadership role as an Arts and Science Peer Mentor (ccr.usask.ca). January 2019 - Peer Mentor Recruitment Event- find out more about our expectations for Mentors, how the peer mentor program works and more about our Learning Communities. March 1 | Peer Mentor on-line applications due by 12 noon. March 13 - 15 | First round status letters emailed to applicants. Applicants who pass the first round will be invited for an in-person interview with our LC staff. (Returning Peer Mentors will be send acceptance letters but will not be required to interview). Those accepted for interviews will sign up for a specific time slot and location within the Arts Building during these days. These will be group interviews with 6 Peer Mentors interviewed in each session. Early April | Final status emailed to interviewees. Peer Mentor training is mandatory and essential for the success of peer mentors and allows you to meet the other mentors participate in sessions and workshops to prepare you for your experience as a mentor. You will find out who your partner is and your Learning Community placement. Lunch will be provided on Saturday. Big Paw Little Paw - by mid-July Peer Mentors will be informed of the contact information for the first year students in their LC groups. Peer Mentors will send a welcome email to their LC students and be the point of contact for these first year students prior to meeting them at Orientation. More specific training for Big Paw Little Paw will be given in the May training.